A trip to the gorgeous Key West islands is a holiday packed with adventure as the water is teeming with marine life and spectacularly crystal clear water, no matter when you decide to visit. Key West scuba being one of the top things to do in Key West. There are so many MUST DO things in Key West and if you have your children along for the ride as you are having a family vacation, then some snorkeling in key west is hot on the list of attractions to keep everyone happy. Why not consider starting your holiday with a dip in the Boynton Beach area? The children will be safe in the shallow waters of the beach and they will also see lots of hard and soft corals as well as fish that zip and scurry all around these warm waters. A scuba diving Key West day trip is definitely a brilliant experience, with range of stunning, colorful marine life that is simply out of this world. Chances are, you will see many rays, sharks, corals, and turtles, but you'll never get tired of pointing them out. 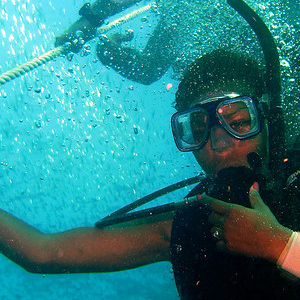 One thing is for certain, a scuba diving Key West adventure is always exhilarating. This is one brilliant reef with all types of coral species and it is so abundant with small reef fish and critters that you will be mesmerized no matter how many times you decide to take a look. Do look out for beautiful exotic sea horses and take a photo of these underwater exquisite creatures if you do happen to come across one. 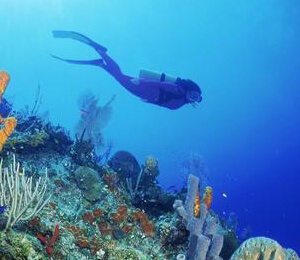 Best of all, scuba diving Key West has many terrific dive sites with exceptional visibility and a range of colorful tropical fish that are perfect for both the novice diver or the more experienced. There are some terrific places to stay, especially in the Duval Street region. This area is central and has lots of great Key West attractions available as well as some terrific restaurants to suit your whole family. They will be starving after snorkeling or scuba diving Key West all day. You may also like a night out without the kids and Duval Street is definitely the place to be. The kids will enjoy the Dolphin Research Center in Marathon or a visit to the Theatre of the Sea in Islamorada. For another interesting day out, Key West parasailing is a fantastic choice. Do the Conch Train as it also has lots of history and fun stuff that the kids will really enjoy. But let's face it though, everyone will be eager to get back into the water so another snorkeling in Key West boat charter is a definite must do. The spectacular reef is an underwater wonderland with literally thousands of fish that are playful and very friendly. 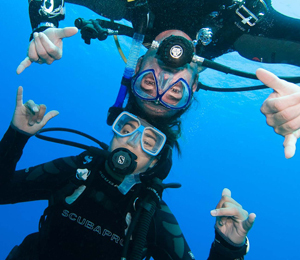 Scuba diving Key West has long been a favorite site for the sheer quality of the coral formations and the superb photo opportunities available, whether you are an experienced diver or planning your very first dive experience. The spectacular smaller marine life associated with the coral reef is sure to be a hit with visiting divers and is not to be missed. 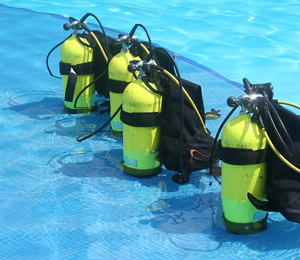 If you loved your scuba diving Key West holiday, why not consider the sunny Bahamas next time? Look at a Bahamas dolphin encounter or perhaps a Bahama scuba diving getaway. It's perfect for those who just can't keep away from the water. Both attractions are guaranteed to be a blast. Have fun planning your next holiday escape.